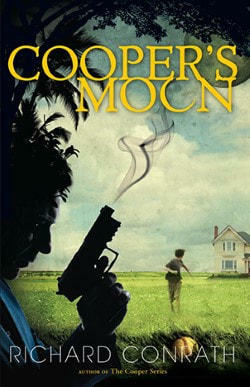 We sit down with Richard Conrath, who recently self-published his first book, Cooper's Moon. It tells the story of a college professor turned homicide detective who finds his way into the world of human trafficking of children. We explore the writing process with him, but also the world of self-publishing, which has changed in recent years. What was once considered an outlier in the publishing world -- think the term ‘vanity press’ -- has evolved to become a way for authors to maintain control over their content, process and distribution. As technology has made it easier to both print, and disseminate written works, more and more authors are choosing the self-publishing route to get their words in the hands of people around the world.